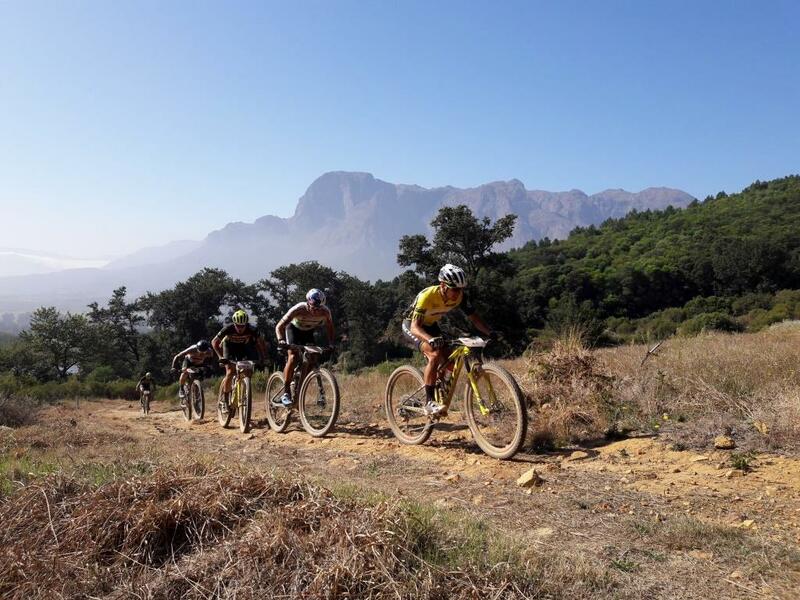 The Cape Epic mountain bike race returned to the slopes of Table Mountain for 2019. The rugged eight-day race’s Prologue is staged from the University of Cape Town. In its inaugural year 2004 the Cape Epic mountain bike race immediately attracted some of the biggest names in the sport, the Cape Epic route was from Knysna to Stellenbosch and covered 788km with 17 380m of vertical gain with 550 riders 21% of those were international competitors from 20 countries. 2005 the route covered 898km with 16 020m of vertical gain. 840 riders took part and 25% were international competitors from 29 countries. 2006 the route covered 940km with 16 605m of vertical gain.1040 riders took part and 31% were international competitors from 35 countries. 2007 the route started from Knysna to Somerset West and covered 886km with 15 045m of vertical gain. 1200 riders took part and 29% were international competitors from 45 countries. 2008 the route covered 966km and started from Knysna to Somerset West with 18 529m of vertical gain. 1200 riders took part and 29% were international competitors from 41 countries. 2009 the route covered 744km with 15 132m of vertical gain.1200 riders took part and 32% were international competitors from 46 countries. 2010 the route covered 661km with 14 126m of vertical gain. 1200 riders took part and 38% were international competitors from 51 countries. 2011 the route covered 708km with 14 550m of vertical gain. 1200 riders took part and 40% were international competitors from 49 countries. 2012 the route covered 775km with 16 300m of vertical gain. 1200 riders took part and 34% were international competitors from 49 countries. 2013 the route covered 706km with 15 950m of vertical gain. 1 258 riders took part and 33% were international competitors from 45 countries. 2014 route covered 729km with 14 850m of vertical gain. 1234 riders took part and 37% were international competitors from 49 countries. 2015 route covered 748km with 16 000m of vertical gain. 1244 riders took part and 39% were international competitors from 55 countries. 2016 route covered 654km with 15 000m of vertical gain – 1292 riders took part and 39% were international competitors from 52 countries. 2017 route covered 651km with 15 000m of vertical gain. 1332 riders took part and 51% were international competitors from 58 countries. 2018 route covered 658km with 13530m of vertical ascent.1344 riders took part and 46% were international competitors from 53 countries. Situated 45mn drive from Cape Town in the Stellenbosch wine area the Banhoek valley mountain biking trails nestles snugly against the slopes of the mountain a purpose-built singletracks that will have you ducking and diving over wooden bridges, underneath luscious tree ferns and through swooping vineyards, while sneaky tree roots and steep rocky descents will sort the men from the boys..
Good technical skills and fitness levels is require. With a good 1200m of ascent and 55km this MTB excursion this will give you a good workout for the day. 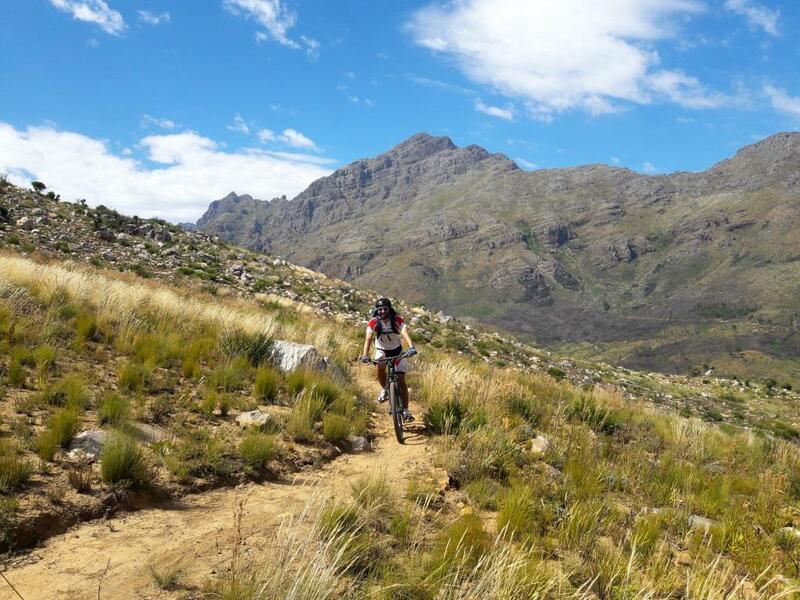 Situated at the foot of the majestic Langeberg ranges, the Mountain biking Grootvadersbosch route traverses a rollicking route through the nature reserve and conservancy on the neighboring farms. The trail network will take you into a wonder world of mountain fynbos, indigenous forest and lowland renosterveld unfolding along the Langeberg range. A rich variety of fauna including the elusive Cape Leopard make this area a must for natures lover and mountain bike addict. Our ride was a good mix of steep jeep track follow by a series of deeply dippy drops on technical singles into rocky mountain stream..just because we asked for it! with the final topping being the enchanted forest and his challenging switch back all the way to our most welcome and beautiful well equipped Strawberry farm accommodation http://www.strawberryhillfarm.co.za/ for the night. All of this recce will have not been possible without the help of Aileen our very experience multi skill Mountain biker who designed this mountain bike outing to our request and made us feel so at home by inviting us for diner! You will probably get there faster if you ride a bike. Commuting by bike in some of our South African cities might seem suicidal but if traffic congestion increases at current rates, cycling is bound to grow in popularity. Cycle away from the big C. There is plenty of evidence that any exercise is useful in warding off cancer and studies have shown that cycling is specifically good for keeping your cells in working order. Sleep more deeply. An early morning ride might tire you out in the short term but it will also help you catch some quality shut eye when you get back to your pillow. Boost your bowels. The benefits of cycling extend deep into your core. Physical activity helps decrease the time it takes food to move through the large intestine preventing you from feeling bloated, aerobic exercise accelerates your breathing and heart rate, which helps to stimulate the contraction of intestinal muscles, this helps protect you againts bowel cancer. Increase your brain power. It boost blood flow and oxygen to the brain, which fires and regenerates receptors. Beat illness. Riding is the way to keep the doctor at bay. Moderate exercise makes immune cells more active. Enjoy healthy family time. Cycling is an activity the whole family can do together. Save the planet. It takes around five per cent of the materials and energy used to make a car to build a bike and a bike produces zero pollution. Heal your heart. Regular cycling can cut your risk of heart disease by 50%, according to the Heart Foundation. Be happy. Any mild to moderate exercise releases natural feel good endorphins that help counter stress and make you happy. Make friends and stay healthy. You've finally got your mountain bike and holiday time is around the corner. Hello South Africa! we are spoilt with quality mountain biking places to ride. Whether you want to ride with big game, along empty beaches, through verdant forest or across semi-desert area, remote trails with awesome scenery you will find it. 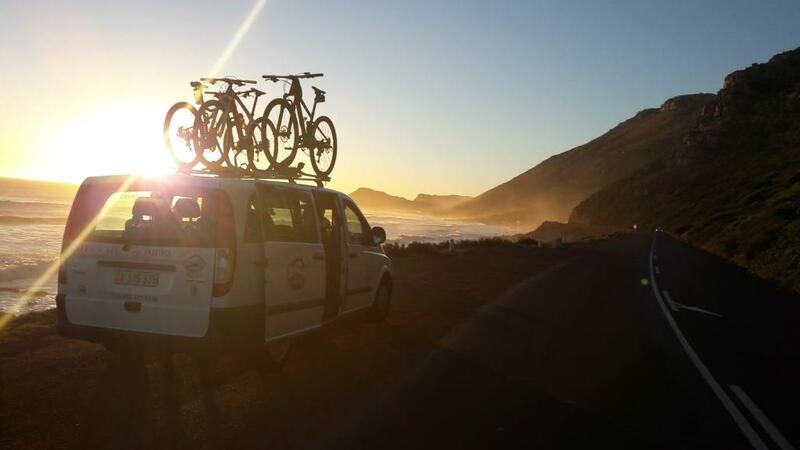 Touring cycling holiday offers a way to get your dirt fix - an active holiday with a group of friends or family. It has many advantages, the most important of which is that the rider benefits from local knowledge and learns about the natural and cultural environment. It also provides greater security in remote areas or on trails that are not well marked, creates job opportunities as well as providing infrastructural support of the back-up vehicle, the mountain bikes and the guide's knowledge regarding the logistics organisation. Cycling gives you a feeling of freedom that nothing else can. It's only you and your bicycle, you choose the speed and the destination. Riding is like a journey of your life. Balance is key, if you go too fast or too slow you will fall, every uphill got a downhill and if I don’t keep pedaling I will never reach your goal. Mountain biking, which is the best wheel size for a #mountain bike? The traditional 26 inch, the 27.5 or the larger 29 inch wheel ? The arrival of the 27.50 (650b) wheel size few year back has added further debate to an already dynamic industry and confusion among consumers. It's a debate that generate fierce opinions, with strong advocates of all three wheel sizes.. Scott was the first big brand to embrace the "in between" wheelsize when it launched Genius trail bike models, followed by Spark and Scale ranges. Iconic American brand GT, Giant, Trek, Cannondale, Specialized, Silverback, Momsen. Few words on the 26 inch wheels..with their smaller diameter and shorter spokes, all else being equal, a 26 inch wheel will be stronger, lighter which makes for snappier acceleration. Handling is usually very nimble with little inertia to get in the way of rapid direction changes. However it tend to clatter into bumps and roll less smoothly than the other wheel sizes. Advantages of 27.5 wheel size over the 29 wheel, stiffer, more responsive frame. Less geometry limitation to allow more suspension travel options. Lighter weight and faster acceleration. Advantages of 29 wheel size over the 27.5 wheel, better obstacle roll-over, bigger tyre traction contact patch. Ride a 27.5 wheel size if you are small to medium sized, if you like steep or technical trails, race Cross-country or Enduro. Ride a 29 wheel size if you are Medium to extra large sized, you ride marathons and stage races, ride dirt roads and uncomplicated trails. After all wheel size is like wine it is very personal, "It is like a shoe size. 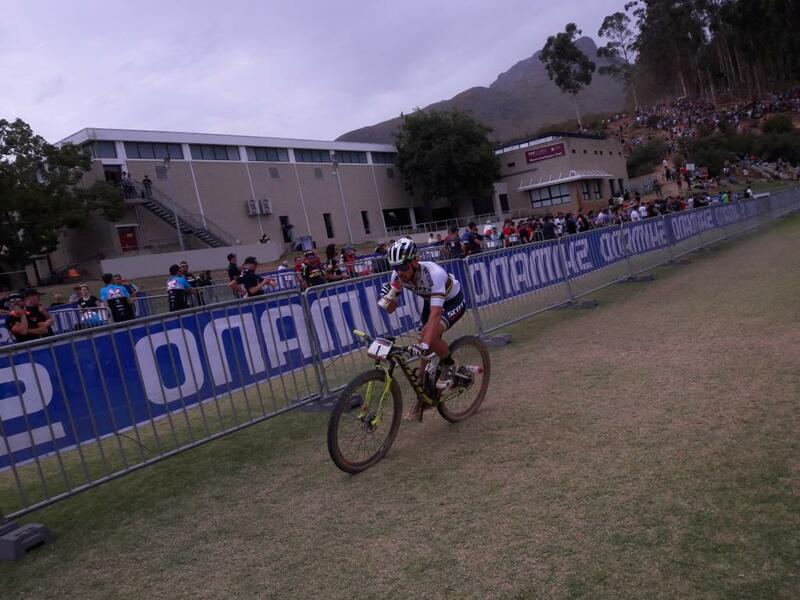 What is comfortable for one isn't necessarily comfortable for another"
The Mountain biking World Cup cross country came to Stellenbosch South Africa and what a show.Top riders and new contenders measure themselfs along this new epic world cup course of 4.4km and 180m of climb. From short and steep switch-back climb, three-foot drop, multi-line rock garden, descending deep and steep gully for finaly reaching the Pickup Sticks section one of the last opportunities for rider to utilise their technical abilities to gain an advantage, where cool head and good line are critical. Nino Schurter from Switzerland Scott-Sram ranking 1, perfect 2017 season, winning all World Cups and the World Champs in the series as well as the Cape Epic. Stephane Tempier from France Bianchi ranking 2, Maxime Marotte from France Cannondale ranking 3, Jaroslav Kulhavy from Szech Republic Specialized like to go fast on and off the bike.. Which is the best wheel size for a mountain bike? The traditional 26 inch, the 27.5 or the larger 29 inch wheel ? It's a debate that generate fierce opinions, with strong advocates of all three wheel sizes.. a few words on the 26 inch wheels..with their smaller diameter and shorter spokes, all else being equal, a 26 inch wheel will be stronger, lighter which makes for snappier acceleration. Handling is usually very nimble with little inertia to get in the way of rapid direction changes. However it tend to clatter into bumps and roll less smoothly than the other wheel sizes. 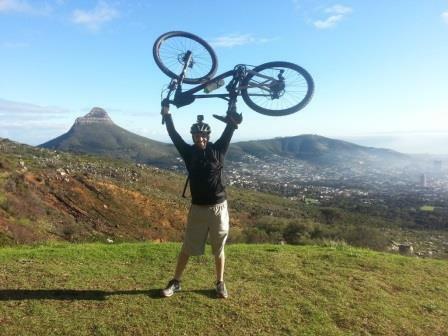 our guest at Cape Escape Tours ride 29 wheel sizes #mountain bike. Mountain biking around Franschhoek, plenty single beautiful views, good food and good wine. come join us for a full day #mountain biking tours. 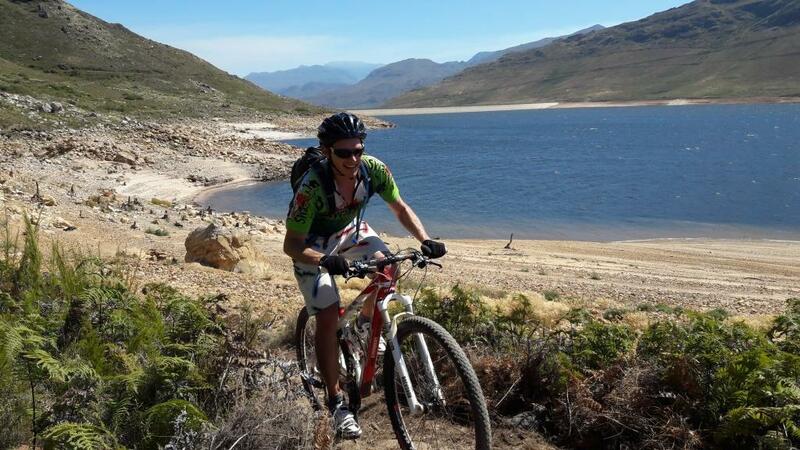 Mountain biking in Cape Town so much to offer. Situated 45mn drive from Cape Town in the Stellenbosch wine area, nestles snugly against the slopes of the mountain a purpose-built singletracks that will have you ducking and diving over wooden bridges, underneath luscious tree ferns and through swooping vineyards, while sneaky tree roots and steep rocky descents. With a good 1200m of ascent and 55km this guided MTB excursion this will give you a good workout for the day. Mountain biking around the Franschhoek wine region, plenty single beautiful views, good food and good wine. come join us for a full day #mountain biking tours. 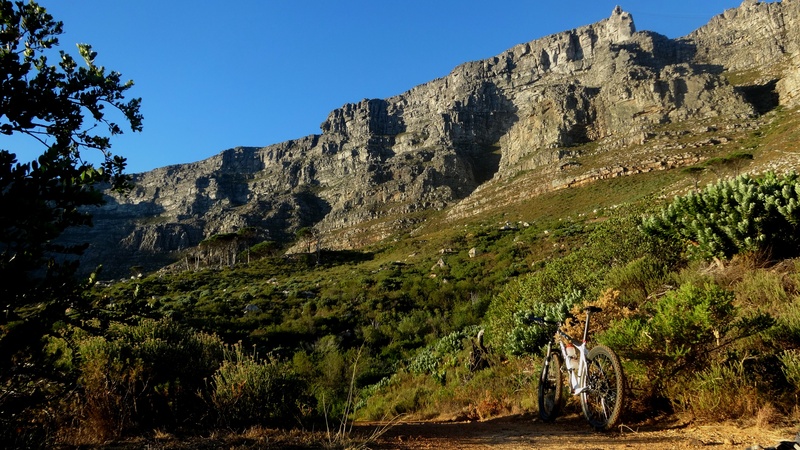 Table Mountain is a tourist playground par excellence; a network of gravel roads traverse the steep slopes of the mountain a combination of jeep track and fun sections of smooth flowing single track. 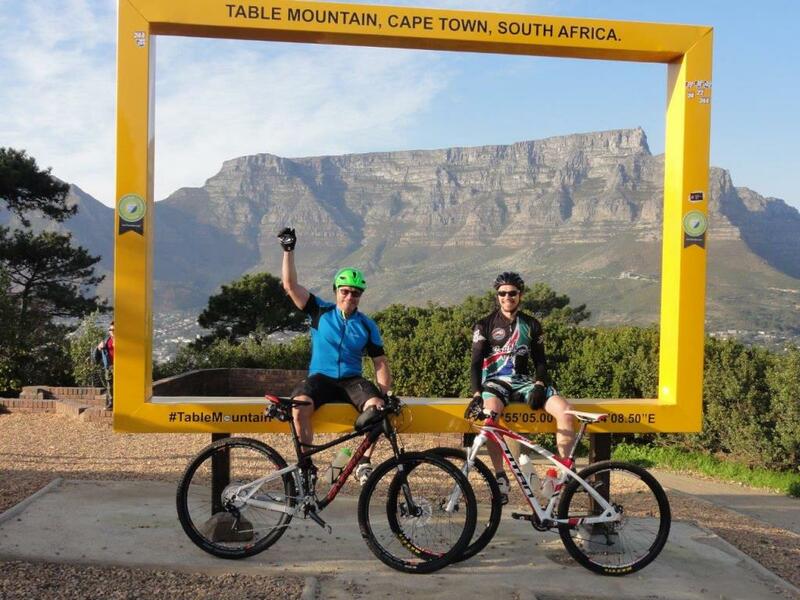 Some of Table Mountain trails staged the prologue of the famous Cape Epic 2009 and 2015 edition. 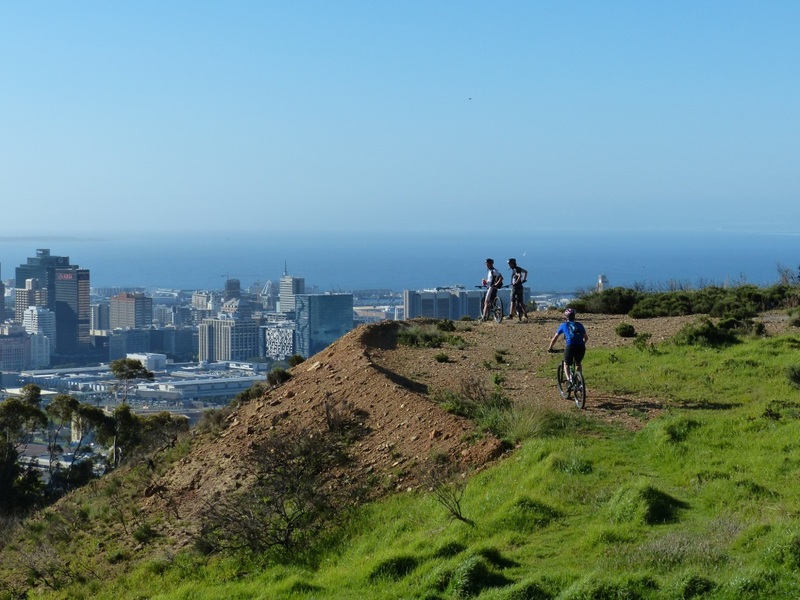 Our half day morning ride start from the top of Signal Hill and carry on along the slope of Table Mountain. 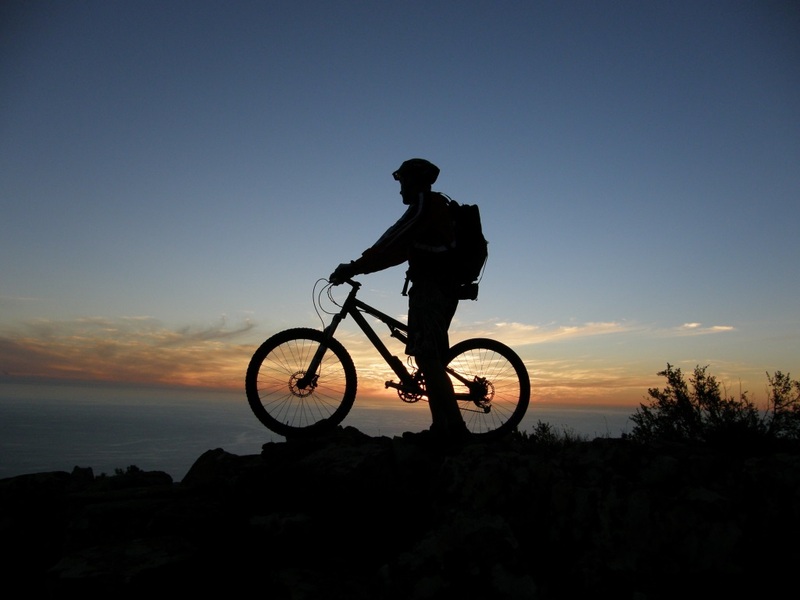 Nothing too challenging but being a mountain biker will most definitely help you relax and enjoy the ride. 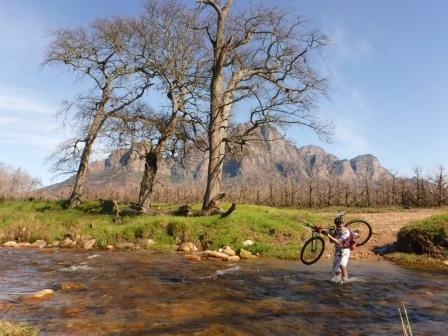 Content from Stellenbosch - Boschendal mountain bike tour. 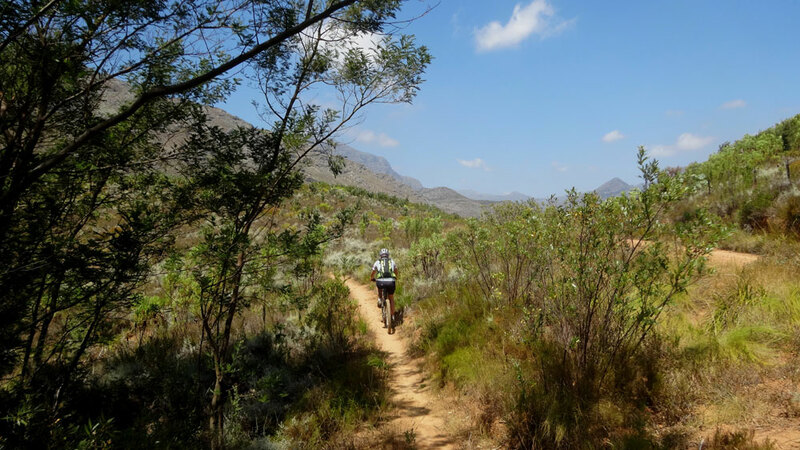 Situated 45mn drive from Cape Town in the Stellenbosch wine area the mountain bike route snugly against the slopes of the Banhoek mountain forming part of the Hottentots Holland nature reserve. Mountain bike purpose-built singletracks will have you ducking and diving over wooden bridges, underneath tree and through swooping vineyards, while sneaky tree roots and steep rocky descents will sort the men from the boys! 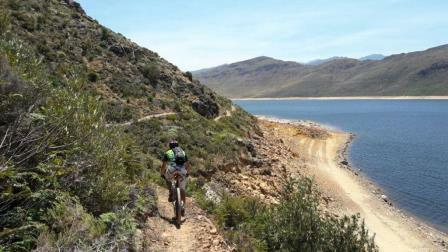 This mountain bike day outing will also take you through a nature reserve where antilope maybe spotted. 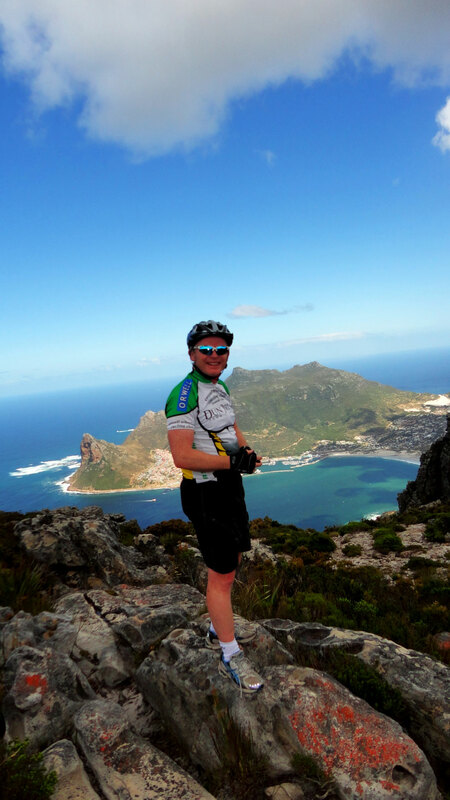 Content from Table Mountain - Cape Point mountain bike tour. 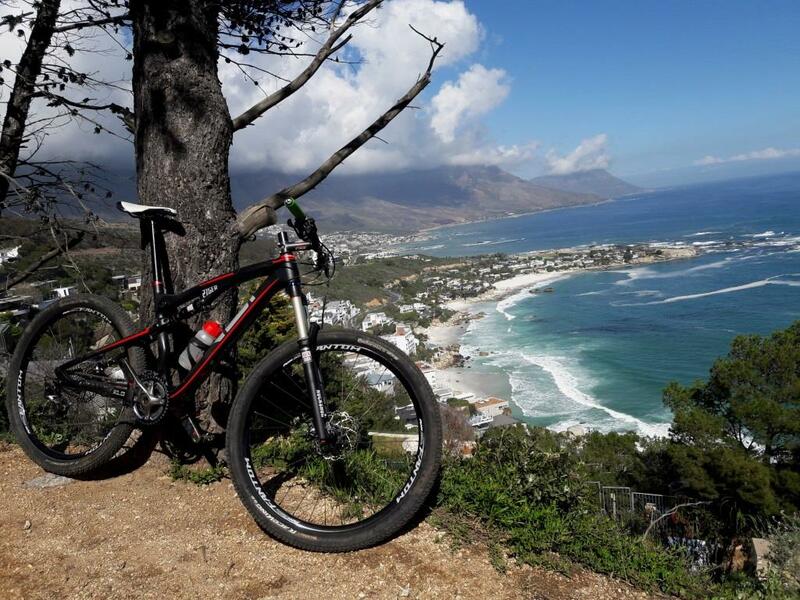 Planned by mountain bikers for mountain bikers this holy day ride will take you from Signal Hill to the front of Table Mountain and finish at the East side of the Mountain - the exclusive area of the Constantia greenbelt. A network of gnarly gravel roads traverses the steep slopes of Table Mountain, the surface is reasonably hard-packed but loose gravel and rocks are bound to rear their ugly heads along the rugged Table Mountain range every so often..Be focused. Followed by a more civilized ride down the Constantia greenbelt this will set you for a perfect start of the day to come. Be aware there is nothing flat on Table Mountain, this ride will suit the more intermediate riders. 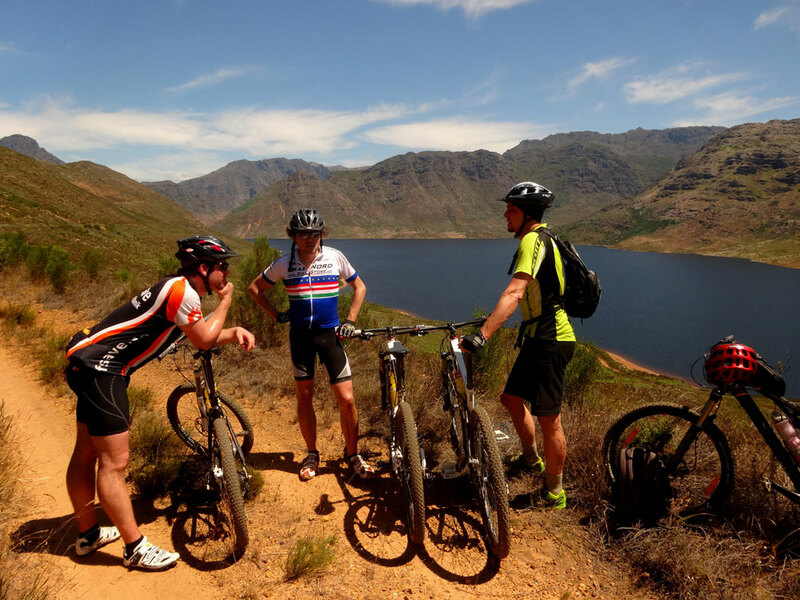 Our full day Stellenbosch cycling tour is composed of 10 km off road and 30 km along quiet countryside road and through the historical town of Stellenbosch, where riders are rewarded with panoramic views of Stellenbosch Wine region. 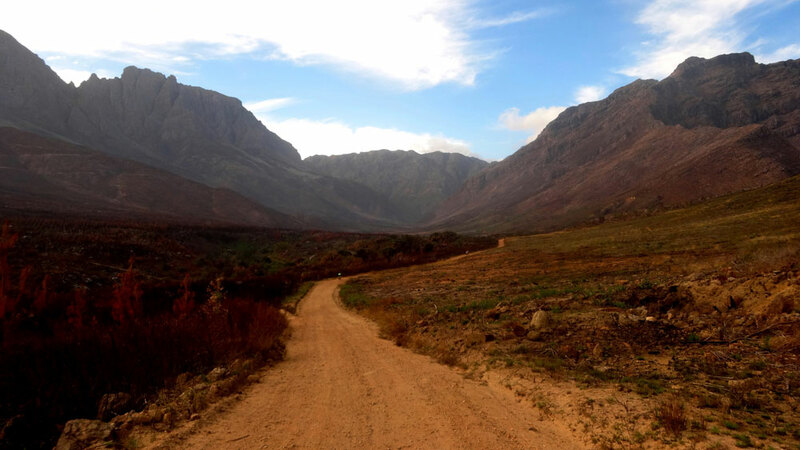 Our off road section is on jeep track down the Jonkershoek Nature's Valley with a few stops along the way to visit some of the beautiful wine estates around Stellenbosch. The ride is non technical and achievable by rookie riders. 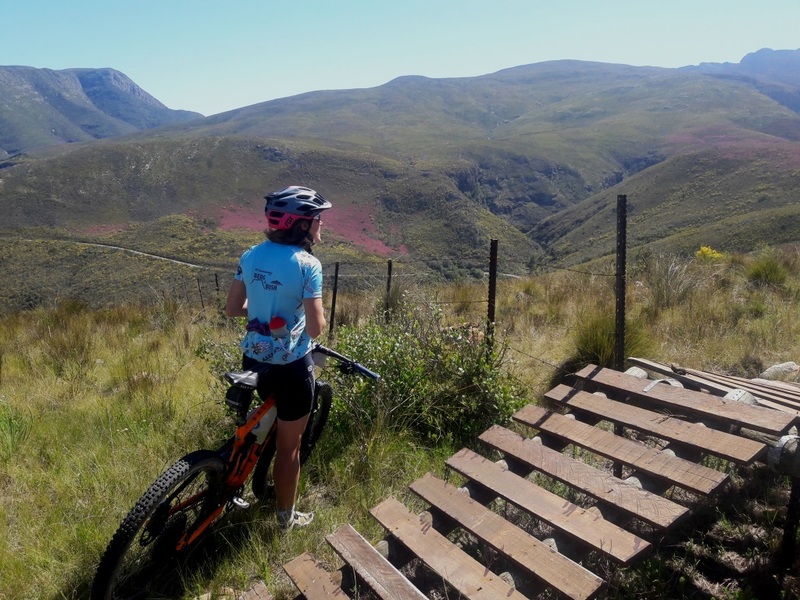 Nestled between the beautiful Hawekwa and Groenberg mountain ranges near Wellington, the Welvanpass mountain bike trails will offer a real mountain biking experience with sublime singletrack, steep uphills and fast downhill. It is all here and in abundance. No matter whether you ride it slowly or like a war hero, the trail will reward you with a ride to live in your memory for years to come. With steep downhills and narrow singletracks this Mountain bike outing is reserved for the more experienced riders. The Bottelary Hills MTB trails full monty run over 20 farms in the Renosterveld Conservancy. Situated just outside Stellenbosch it offer scenic beauty and incredible views of the Winelands, Table Mountain and False Bay. The Conservancy are home to endangered fauna and flora species, the trail covers a total distance of +45km. 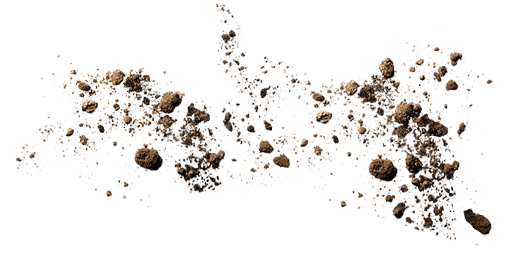 They are made up of one “Main Route” with various loops connected to it. Total ascent for the day is approximately 1100m, it combined a good mixed of Jeep track and single. The full MTB route will most certainly test your endurance..
We ride from the West side of Table Mountain to the East side of it "Rhodes Memorial" and back, depending of your fitness and skill level we can add some spices along the way..including some single tracks used on the Cape Epic prologue..remember we are not allowed to ride on the Table Mountain plateau. 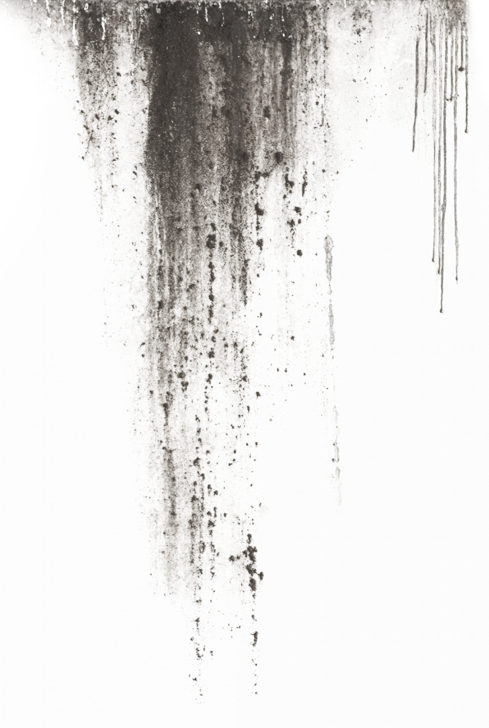 Mostly gravel with occasional concrete dual track on steep climb and some rutted downhill section in places this ride will test you all along..Moderate to intermediate riding for those who want to do the full monty. 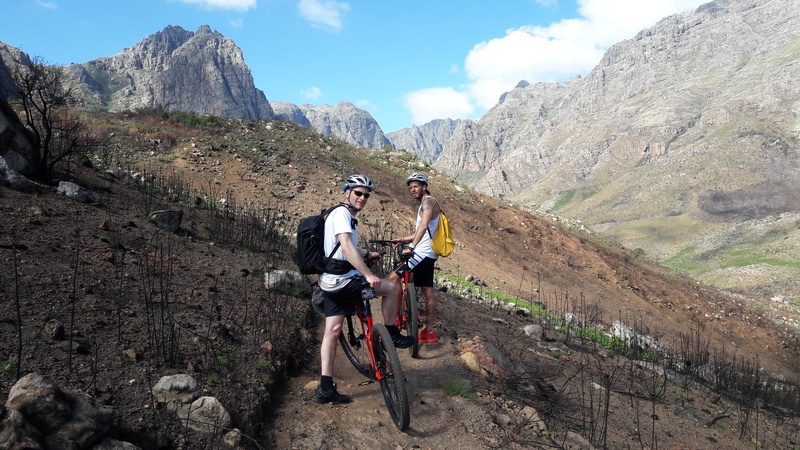 This one day Mountain bike excursion will take you from the historical town of Stellenbosch to Franschhoek along the imposing slopes of the Banhoek Mountain. Purpose-built singletracks mixed with natural obstacle cross country style riding will give you a run for your money. Ducking and diving over wooden bridges, underneath luscious tree ferns, through swooping vineyards, while sneaky tree roots with steep climb and rocky descent this journey will sort the men from the boys. 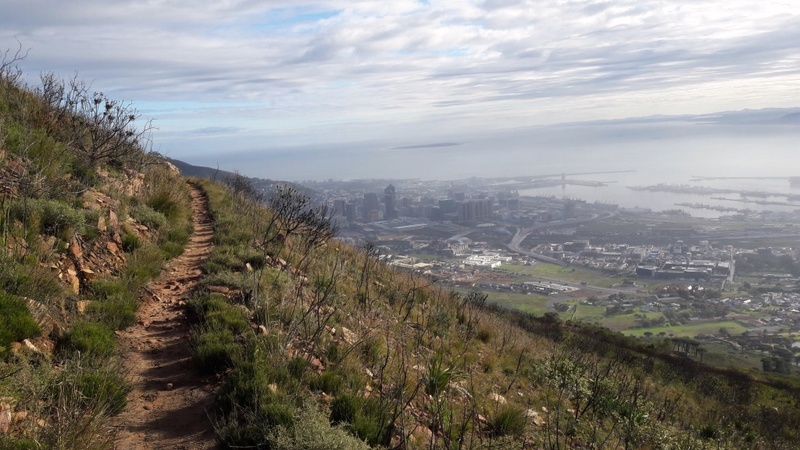 The ride start with the Silvermine nature reserve it is not a purpose built trail but rather a 4x4 one ascending into switchback to the ride highest point of 775m, with amazing views all around camera is a must. The way down can be fast and furious, follow the front wheel as you blast into a spiral of s-bends carving the fynbos ridge. It will take you minutes to zigzag all the way back from where you started. Part two is all the way up to haven..blood, sweat and granny gears are the order of the day as you cycle your toward the Constantiaberg summit at 927m. The way down to our mid day lunch break is where the fun starts, a range of trails confirgurations via the plantations are available. Hang on tight.. This one day MTB excurtion is most definitely not a "grand tourismo" ride with a good 1500m of positif climbing he will seat you back for a good workout. Intermediate riders will enjoy it at is most. Due to devastating fires in March 2015 the Tokai forest (part two on our MTB excursion) is still closed until further notice.